As students at Oakdale Elementary returned to school on January 10, the halls were a little more crowded than usual. Seven student athletes from Heartland joined other community members and lined the school’s hallways to hand out high fives and cheers of welcome on students’ first day back from winter break. Their efforts were in conjunction with Promise Council, a local initiative that promises schools will help kids by providing caring adults, safe places, a healthy start, effective education and the opportunity to help others. Oakdale’s Promise Council decided to encourage returning students with 100 Caring Adults, an event that brings at least 100 community members to show support for students. 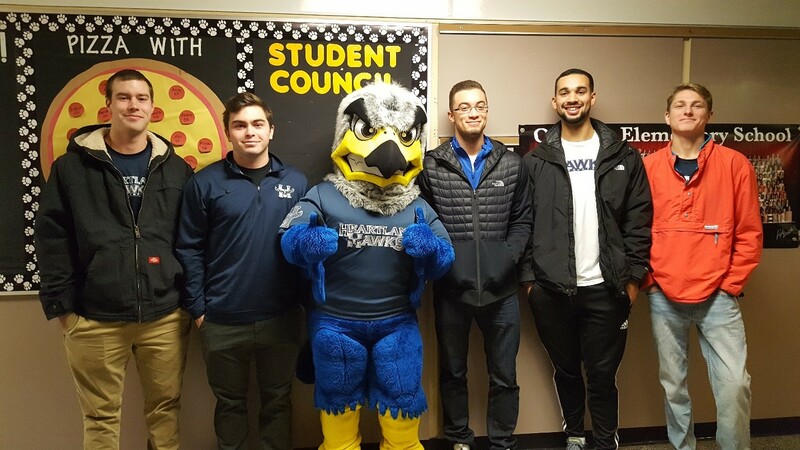 Heartland athletes also participated in Pepper Ridge Elementary School’s Promise Council event on January 31, handing out donated books and small gift bags of supplies to mark the 100th day of school.